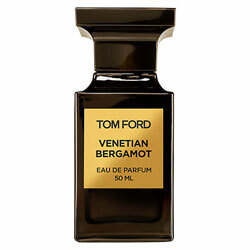 Venetian Bergamot by Tom Ford - Italian bergamot takes center stage in this perfume from the Tom Ford Private Blend collection. Blending black and pink pepper with fresh bergamot on top, a heart of lush florals of ylang ylang, magolia, and gardenia merge with a base of cedarwood and cashmeran scent notes. Available in an eau de parfum spray from Nordstrom and Sephora. Package Design Classic Tom Ford Private Blend collection bottle. There are dozens of essential oils and natural blends that will appeal to your finely tuned nose. For something a little stronger and more complex, check out the heady creations. When Armani Si debuted in the U.S. last year... it was the antithesis of frou frou. ... Other brands are toughening up... Chanel, Dior, Lancome, and Tom Ford have all launched small, exclusive 'collections' of fragrances that show off exotic, often masculine notes - like leather, incense, and musk - and packaged them in chic, unisex bottles. Any floral notes tend to be paired with edgier ones - think rose with oud, violet with patchouli.